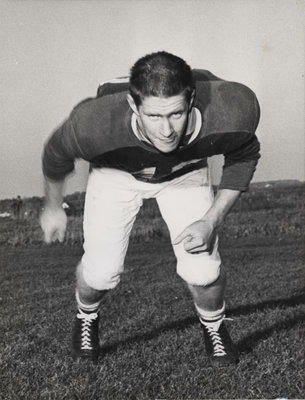 Jim Stapleton was a student at Waterloo Lutheran University (now Wilfrid Laurier University) from 1961 to 1965. The fonds consists of photographs, memorabilia, and other material accumulated by Jim Stapleton during his time at Waterloo Lutheran University. Also contains a photograph of Coach Stapleton and the 1973 Oxford-Elgin High School football team. It is arranged in the following series: Photographs, Memorabilia, Keystones.